Kenneth Einar HIMMA, PhD, JD, is Associate Professor of Philosophy at Seattle Pacific University. His research interests include legal philosophy, applied ethics, information ethics, and computer ethics. Dr. Himma has authored more than 100 scholarly articles, encyclopedia entries, book reviews, and op-ed newspaper pieces, as well as a book, Internet Security: Hacking, Counterhacking, and Society. Herman T. Tavani, PhD, is Professor of Philosophy at Rivier College (New Hampshire) and President of the International Society for Ethics and Information Technology (INSEIT). He also holds appointments as a visiting lecturer at Boston College and as a visiting scholar at the Harvard School of Public Health. Professor Tavani is the author, editor, or coeditor of five books, including Ethics and Technology (Wiley), now in its second edition. Introduction (Kenneth Einar Himma and Herman T. Tavani). PART I: FOUNDATIONAL ISSUES AND METHODOLOGICAL FRAMEWORKS. 1. Foundations of Information Ethics (Luciano Floridi). 2. Milestones in the History of Information Ethics (Terrell Ward Bynum). 3. Moral Methodology and Information Technology (Jeroen van den Hoven). 4. Value Sensitive Design and Information Systems (Batya Friedman, Peter H. Kahn, and Alan Borning). PART II: THEORETICAL ISSUES AFFECTING PROPERTY, PRIVACY, ANONYMITY, AND SECURITY. 5. Personality-Based, Rule Utilitarian, and Lockean Justifications of Intellectual Property (Adam D. Moore). 6. Informational Privacy: Concepts, Theories, and Controversies (Herman T. Tavani). 7. Online Anonymity (Kathleen A. Wallace). 8. 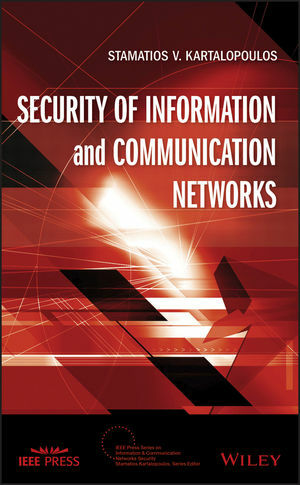 Ethical Issues Involving Computer Security: Hacking, Hacktivism, and Counterhacking (Kenneth Einar Himma). PART III: PROFESSIONAL ISSUES AND THE INFORMATION-RELATED PROFESSIONS. 9. Information Ethics and the Library Profession (Kay Mathiesen and Don Fallis). 10. 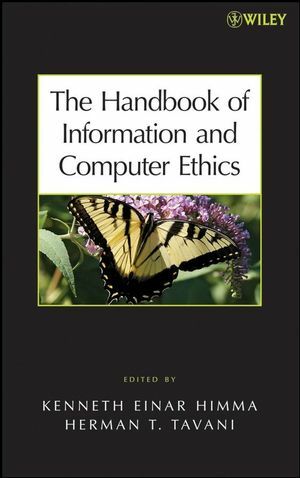 Ethical Interest in Free and Open Source Software (Frances S. Grodzinsky and Marty J. Wolf). 11. Internet Research Ethics: The Field and its Critical Issues (Elizabeth A. Buchanan and Charles Ess). 12. Health Information Technology: Challenges in Ethics, Science, and Uncertainty (Kenneth W. Goodman). 13. Ethical Issues of Information and Business (Bernd Carsten Stahl). PART IV: RESPONSIBILITY ISSUES AND RISK ASSESSMENT. 14. Responsibilities for Information on the Internet (Anton Vedder). 15. Virtual Reality and Computer Simulation (Philip Brey). 16. Genetic Information: Epistemological and Ethical Issues (Antonio Marturano). 17. The Ethics of Cyber Conflict (Dorothy E. Denning). 18. A Practical Mechanism for Ethical Risk Assessment - A SoDIS Inspection (Don Gotterbarn, Tony Clear, and Choon-Tuck Kwan). PART V: REGULATORY ISSUES AND CHALLENGES. 19. Regulation and Governance on the Internet (John Weckert and Yeslam Al-Saggaf). 20. Information Overload (David M. Levy). 21. Email Spam (Keith W. Miller and James H. Moor). 22. The Matter of Plagiarism: What, Why, and If (John Snapper). 23. Intellectual Property: Legal and Moral Challenges of Online File Sharing (Richard A. Spinello). PART VI: ACCESS AND EQUITY ISSUES. 24. Censorship and Access to Information (Kay Mathiesen). 25. The Gender Agenda in Computer Ethics (Alison Adam). 26. The Digital Divide: Perspective for the Future (Maria Canellopoulou-Botti and Kenneth Einar Himma). 27. Intercultural Information Ethics (Rafael Capurro).